It is a humbling honor and privilege to report that BicycleSPACE was voted Best Bike Shop in the first-annual Washington Area Bicyclists Choice Awards tonight. Thank you for endorsing our vision of contemporary urban life. Thank you for voting BicycleSPACE and for buying into our concept of a transaction. As a community, BicycleSPACE employees and customers are invested in each other. Each and every one of us is upholding our part of the bargain in the social contract that binds us. We are united in our desire to create places, spaces and occasions to come together, socialize, learn, see new parts of town, open our minds to new ideas, revel in the delights of the city, be responsible stewards of our environment and pave the way to a more just, sustainable, kind and respectful society. 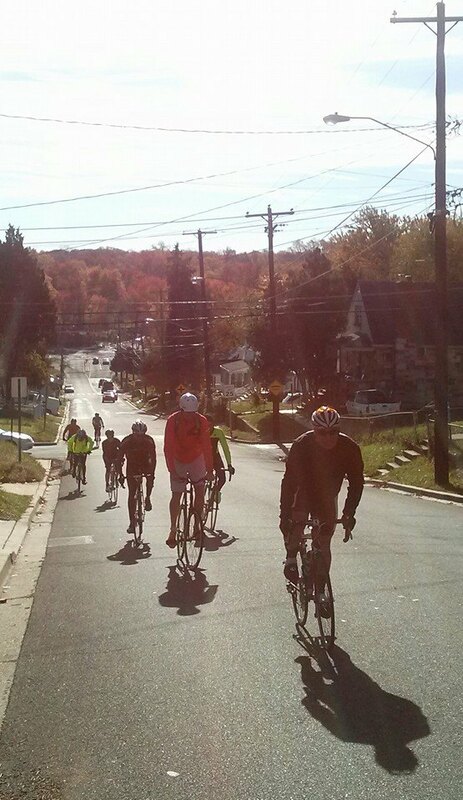 Bicycles take us up the mighty Hills of Anacostia. Led by community leaders Chris Roell and Mauricio Herbas, this ride was awarded Best Shop Ride. Bicycles take us through the vital urban core on the 7th Street Social. This ride was awarded Best Social Ride, solely because hundreds of you elected to join in. As we steer into a new era, the 7th Street Social will transition into a different ride with all the spirited sociability you expect. We've departed 7th Street for Mt. Vernon Triangle, Ivy City and a promising future. Inspired by your support, we're aiming sky high. Sincere thanks for rolling with us.